Welcome to the final day of what accidentally became book review week at Stellar Four! Megan brought you funny grim reaper YA, Meghan reviewed an anthology that probably features one of your favorite authors, Kathy talked about futuristic environmental fascism, and I'm here to close out the week with one of the best zombie books I've read in a long time. Full disclosure: I love a well-done zombie book. (Zombook, if you will.) They're full of action and suspense and violence and (if you're lucky) a few sexytimes. But what elevates a zombook are the smarts of the characters involved. It's not enough to take strong characters and plunk them into horrific situations. Readers want to see how they think their way out of their problems. In short, it's not just zombies that are interested in the protagonists' brains. And that's where The Girl With All the Gifts excels. This is more of a book recommendation than a book review. Here's my recommendation: Read it. The reason I don't want to launch into a full-on review is that many of the pleasures of this book are found in the unveiling of the world that these characters live in. So pardon some of the vagueries I'm about to unleash. Melanie is a 10-year-old living an unusual existence in an England that has succumbed to the zombie hordes — and I'm talking about an unusual that's above and beyond the bizarre life lived by survivors who are surrounded by the flesh-hungry undead. She's whip-smart, and even if she teeters on the edge of Ender Wiggin-style "oh come on, no kid can actually be that aware and capable," she's a fantastic traveling companion as you learn about the world decades after it fell to the zombies. The book is helped by the fact that Melanie's isn't the only voice telling the story, although her level-headed optimism made her my favorite narrator. Others include Melanie's beloved teacher and a scientist trying to (what else?) find a cure, no matter the individual costs. The narrators all have character flaws and they make choices that you might not agree with, but you'll understand why they make them. There are some murky human villains that lurk around the edges, but the book's focus stays with the fears that drive these humans forward, even when they're not sure what they're leaving behind or heading toward. The book has a clever take on the cause of the zombie plague. Like the best sciencey zombooks, it has its roots in natural phenomena that makes you say, "Yeah, OK, I could see that." There's more prolonged suspense than carnage in this particular book. You won't find a ton of gross-out, people-eating scenes (although there are some, gore-hounds). Instead, you'll get claustrophobic reading about trapped characters wondering how on earth they can evade an unstoppable, unthinking army that won't stop once they get a whiff of human pheromones. The Girl With All the Gifts has one of the more satisfying zombook endings that I've ever read. Maybe the best, in terms of laying out a clear idea of the future for humanity. The book's title references Pandora, and Greek mythology is laced throughout the book. Melanie isn't the Pandora who caused this crisis, but she's now stuck in the world after all of the horrors have been released, and it's a pleasure to have her as our guide. M.R. Carey has written for D.C. and Marvel, including turns on X-Men and Fantastic Four. This book makes me wish more comic writers would try their hand at novels. Oh, and people who are sooooo over the whole zombie thing can stuff it. 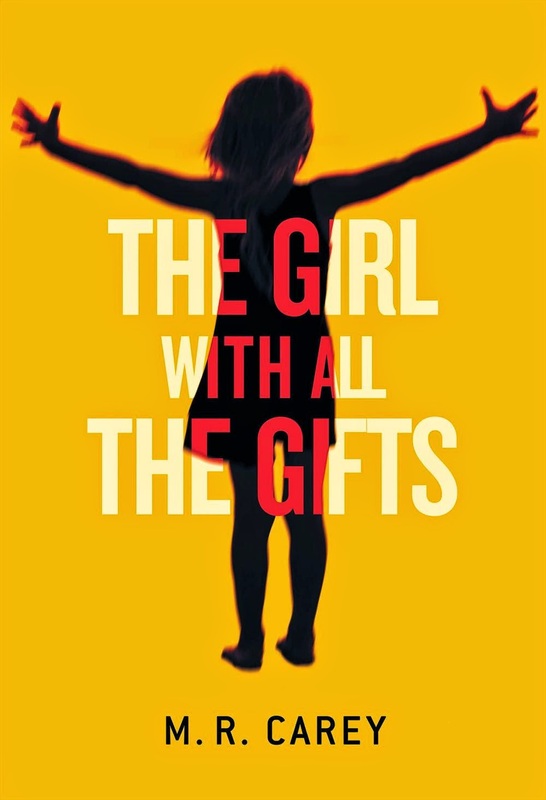 Books like The Girl With All the Gifts proves there's still life in the undead genre. This preview was extraordinary. Looking forward to the full deal. As a note I'd like to ask the reader who gave a one star review how can you crap on a book for its ending when it's only a preview. It's meant to be a teaser or cliff hanger. I am an avid reader of many genres. I enjoyed this bit of the book nicely. Awaiting the conclusion impatiently.